Kalas honored fourteen associates in their most recent service anniversary luncheon; who combined boast a total of two hundred and sixty years of service! 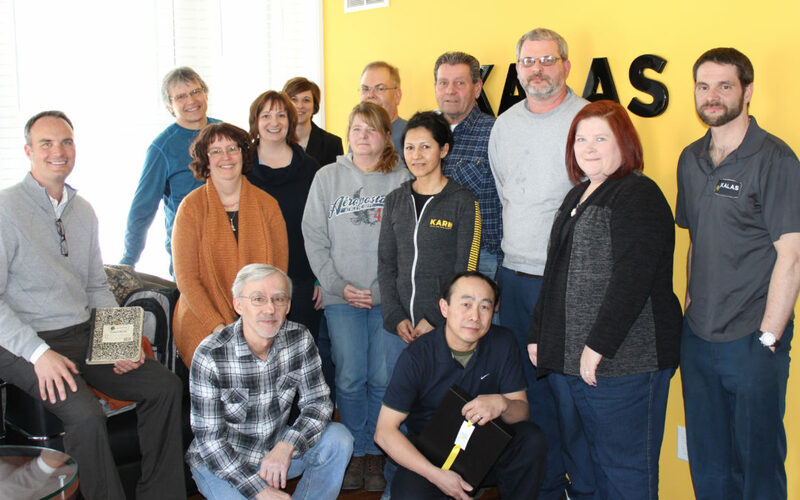 Throughout the calendar year, Kalas recognizes the service anniversaries of its associates. The most recent session was even more special due to the tenure of the recognized team. “It is truly humbling to see the number of associates who have been with us for such an extended period of time. My grandfather said the proudest moment of his professional career was the day Kalas retired its first associate; and I am reminded of that comment today. There is nothing more satisfying to me than to be able to provide gainful employment to help support the lives and families of our associates. I am so appreciative to our associates for their loyalty and support,” commented Jack Witwer, Kalas President and CEO.